Today Alaska Airlines announced that it will scuttle its daily nonstop flights between Los Angeles International Airport and Havana, Cuba on January 22, 2018. That’s slightly over a year since the carrier launched flights on January 5, 2017. 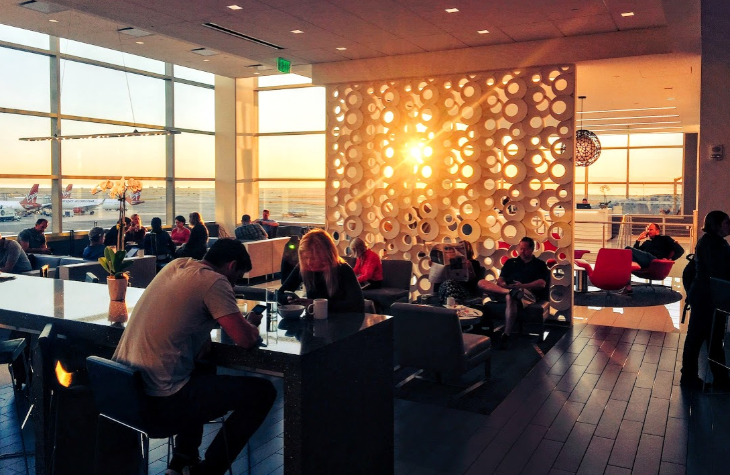 Alaska’s John Kirby told TravelSkills that demand for LAX-HAV had declined precipitously in recent months after a relatively strong spring and summer. “We think pent up demand for travel to Cuba has been satisfied,” he said. In spring and early summer Kirby said Alaska’s load factor was in the 70-80 percent range, but after that it declined to under 50 percent. Then last week, the Trump administration reversed Obama’s more relaxed rules for travel to the island, making it more unwieldy and difficult for Americans to get there. That seems to have been the nail in the coffin for the service. For those still interested in making the trip, LAX-HAV fares are currently running at about $323 round trip— not bad for a 4-5-hour, 2,300 mile flight in each direction. 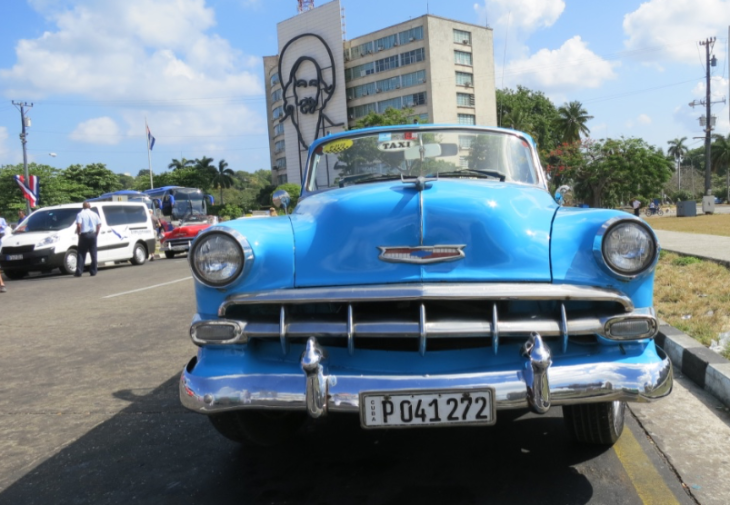 Kirby said that Mileage Plan program redemptions (starting at 35,000 miles round trip) for flights to Havana were insignificant over the last year. The Boeing 737 used on the Havana flights will be re-deployed on a West Coast run (likely Seattle-Orange County) where the carrier is experiencing strong demand. It remains to be seen how or if the Trump administration will enforce the new rules. Some think that the move to tighten rules might only be window dressing to placate the mostly pro-Trump Cuban American community in South Florida. Stay tuned– “don’t ask, don’t tell” could be the new reality for American’s hoping to travel to Cuba. As the slow winter months approach, I expect we’ll see even more reductions on nonstop flights between the US and Cuba. It was only in last year that U.S. airlines got the right to operate scheduled flights to Cuba. But now the future of that service might be in doubt due to new travel restrictions imposed by the Trump Administration that take effect this week. The new regulations also bar Americans from staying at dozens of hotels or shopping in stores that the U.S. says are owned by commercial entities controlled by the Cuban military. The Dept of State amassed a list of nearly 80 hotels now off-limits to Americans, including the newest, nicest hotel in town, the gorgeous sugar-white Gran Hotel Manzana Kempinski in central Havana which goes for about $500 per night. (In a country where citizens earn about $1 per day.) Instead, the Washington Post reports, “the new regulations encourage Americans to stay in rooms rented by private citizens and to eat in private restaurants that have been allowed for a number of years as part of a growing Cuban private sector.” Which means stays at private casas particulares (via Airbnb) and meals at family-run paladares are still okay. Also, none of the new Marriott/Starwood hotels appear on the banned list. The biggest impact is likely to come from the Administration’s decision to put a halt to individual “people-to-people” travel that was allowed up until this week, along with other non-academic individual trips. Instead, Americans who want to go to Cuba will now have to travel as part of a group for a purpose approved by the Treasury Department; each group must be accompanied by someone from the tour operator or organization sponsoring the trip– similar to how the few American visited Cuba prior to Obama’s reestablishment of diplomatic relations and “don’t ask don’t tell” rules for Americans traveling there. Even under the previous rules, individual vacation trips were not officially allowed, since a U.S. trade embargo remained in place. But U.S. travelers could self-identify their trips as falling into one of many approved categories, but enforcement was lax to non-existent. Most Americans traveled to Cuba just like they traveled to any other country in the world. Thankfully, those who already booked an upcoming flight or hotel stay in Cuba before the new rules took effect this week are exempted for the purposes of that trip. More details about the new restrictions are now on the Treasury Department website. What’s important to know is that even after Obama normalized diplomatic relations with Cuba, the trade embargo remained in effect. Only at act of Congress can get rid of that, so don’t expect travel to Cuba to get easier any time soon. What do you think about restrictions on American travel to Cuba? Step in the right direction or step back in time? Please leave your comments below. In international route news, Qatar Airways will add San Francisco service and delay Las Vegas; United plans changes to 787 schedules at SFO in 2018; Delta’s code goes onto a long-haul Air France route; Copa adds a new U.S. gateway; American will suspend its Auckland route for a while; Virgin Atlantic trims an Atlanta route; Spirit gives up a Caribbean destination; and United and American start up several seasonal Europe routes this week. Laptop ban or no laptop ban, Qatar Airways plans to add service to another new U.S. destination next year: San Francisco. Company officials said at a travel show in Dubai last week that Qatar plans to bring a dozen new destinations onto its route map in 2018, including SFO – although it did not say exactly when the flights would start or what type of aircraft it would use. SFO tells TravelSkills that the service will be daily and could start in the second quarter of 2018 using a Boeing 777. Meanwhile, Qatar’s previously announced plan to start flying to Las Vegas on January 8 of next year has been pushed back to sometime in the second quarter. 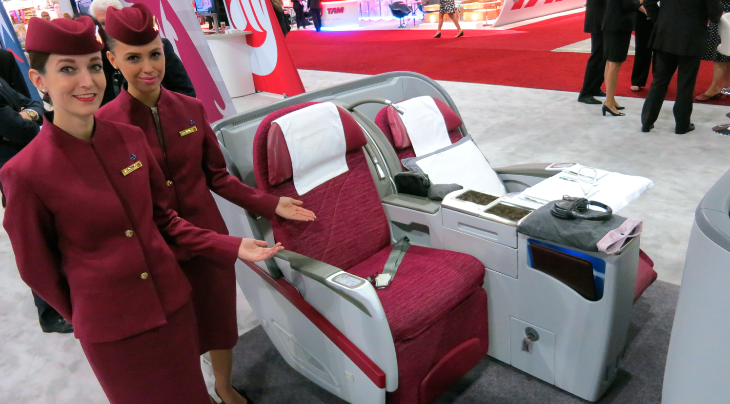 Qatar plans to fly the LAS-Doha route four times a week with a 777-200LR. Qatar Airways is a member of the Oneworld Alliance. United will make some changes in its 787 schedules at San Francisco next year, according to Routesonline.com. The carrier plans to deploy 787-9 Dreamliners on its daily flights from SFO to Seoul on March 18 and to Taipei on May 4, 2018, replacing 777-200ERs on both routes. At the same time, 787-9s will replace 787-8s on the SFO-Munich route May 4, 2018 and on the SFO-Chengdu, China route May 2. Also on March 24, United will switch from a 787-9 to a 787-8 on its Washington Dulles-London Heathrow route. Delta last week gave its customers a new way to get to Singapore. In an expansion of code-sharing with joint venture partner Air France, Delta started putting its code onto Air France’s daily Paris CDG-Singapore flight. Meanwhile, Air France added new code-shares with Singapore Airlines, putting its code onto the latter’s flights beyond Singapore to Melbourne and Sydney, and on sister carrier SilkAir’s service to Kuala Lumpur, Penang and Phuket. Panama’s Copa Airlines has set a December 11 start for new service between Denver and Panama City, which will be its thirteenth U.S. gateway. The carrier plans to fly the route four times a week with a 737-800. 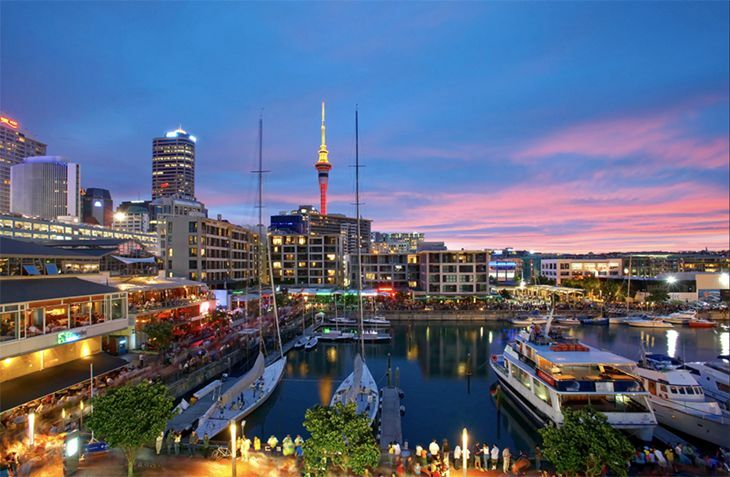 Going to New Zealand later this year? American Airlines filed plans to suspend its Los Angeles-Auckland service for a while – specifically, from August 5 to October 4. 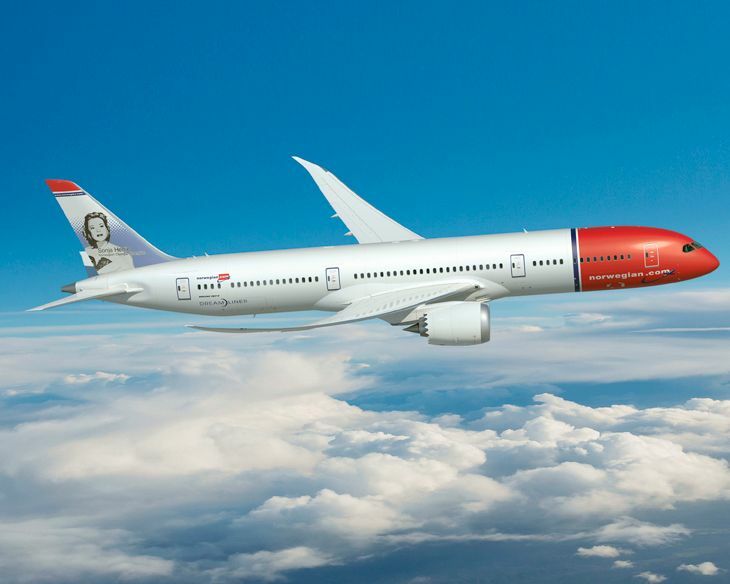 When the flight resumes on October 5, it will use a 787-9 instead of the current 787-8. In another service cutback, Delta partner Virgin Atlantic will trim its Atlanta-Manchester schedule this winter. From October 29 through March 24, Virgin will fly the route three times a week instead of daily. And Spirit Airlines is giving up the ghost on Cuba: The carrier will terminate its Ft. Lauderdale-Havana flights effective May 31, citing weak demand. It’s time for major carriers to start up their seasonal summer routes to Europe, and both United and American will launch a bunch of them this week. On May 5, United will kick off seasonal service from its Newark hub to Edinburgh, Venice, Stockholm and Hamburg; from Washington Dulles to Lisbon and Madrid; and from Chicago O’Hare to Rome and Dublin. Also on May 5, American Airlines will begin seasonal flights from Dallas/Ft. Worth to Amsterdam and Rome; and from Chicago O’Hare to Barcelona. Is now the time to go to Cuba? The first nonstop flight from the U.S. West Coast to Cuba took off from Los Angeles International Airport Terminal 6 last week and TravelSkills was onboard. 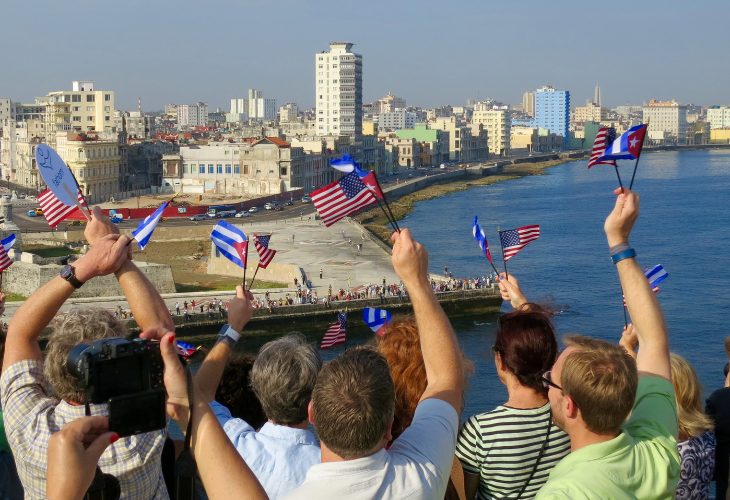 We were part of a delegation of about 50 business, government and civic leaders from the West Coast invited by Alaska Airlines for a two-day relationship-building and fact-finding mission to Havana. 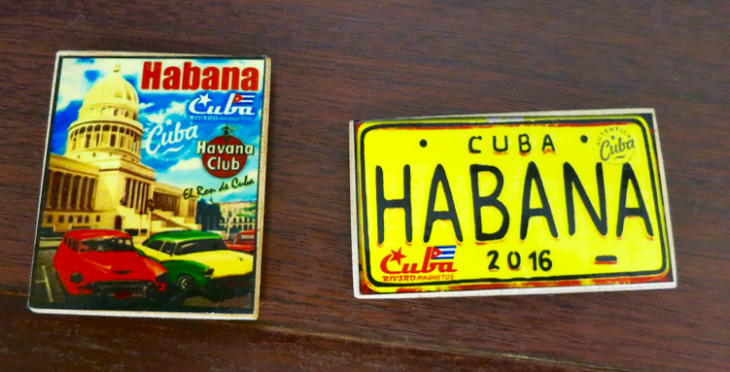 While it was a very quick trip, I picked up tons of interesting insight and info about the current situation and outlook for American travelers in Cuba. And since I’m a newbie to regular flying on Alaska Airlines, I learned a lot about it, too. 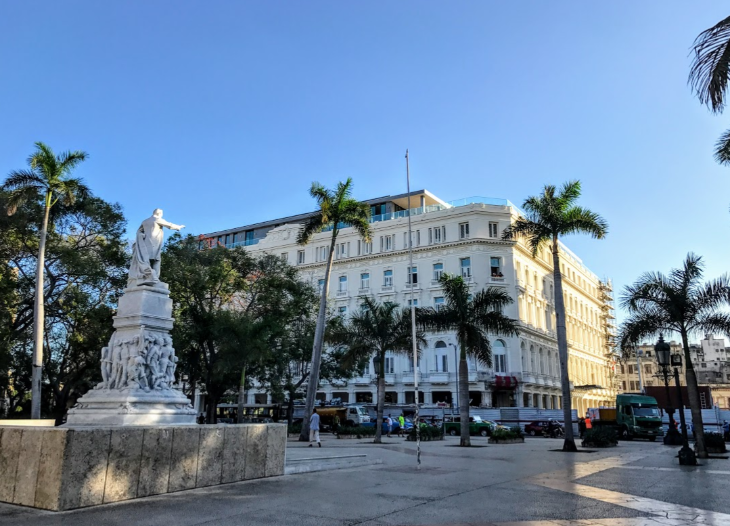 In this post I’ll take a look at what’s happening in Cuba— we’ll follow up with a post on flying Alaska Airlines to get there. Politics: On our first morning in Havana, we attended a lecture by University of Havana Professor Jorge Mario Sanchez. He’s is a professor of Economics and International Relations and oversees the University’s student exchange program with Harvard University. President-elect Trump’s views on Cuba and what he may or may not do is clearly the top concern on the island these days. Why? Because the recent warming of relations between the U.S and Cuba, and the relaxation of rules for travelers are not at all permanent. The increased engagement we’ve experienced lately is the result of an executive order by President Obama, which could easily be reversed with the stroke of a pen by the incoming president. Sanchez emphasized that with the trade embargo still in place, the U.S. and Cuba are still considered enemies under the current legal framework. The only way our relationship with Cuba can be truly normalized is to rescind trade embargo (The “Cuban Assets Control Regulations” set in 1963)– something only Congress can do. Cubans hoping for sustained change were dealt a blow recently when Trump appointed Mauricio Claver-Carone, a harsh critic of Obama’s efforts to normalize relations, and director of a pro-embargo group, to his transition team. Business: With Marriott, Starwood, Airbnb, Alaska Airlines and nearly every U.S. carrier already operating in Cuba, a blanket reversal is probably unlikely. But it’s still a big unknown. Also, recent changes in property ownership are spawning a new entrepreneurial class in Cuba. 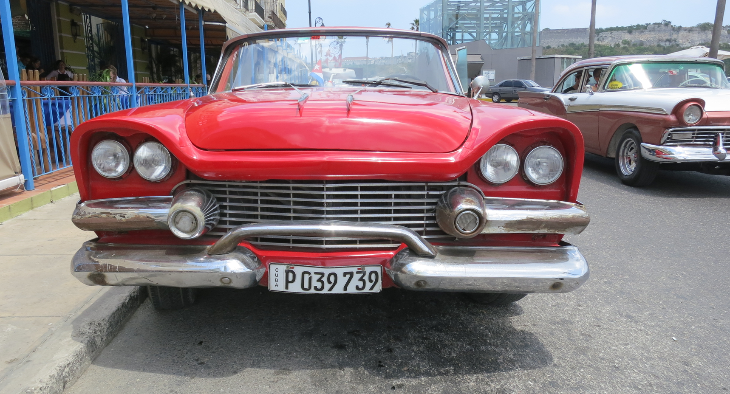 For example, Cubans can now own those classic cars, and run them like small businesses. 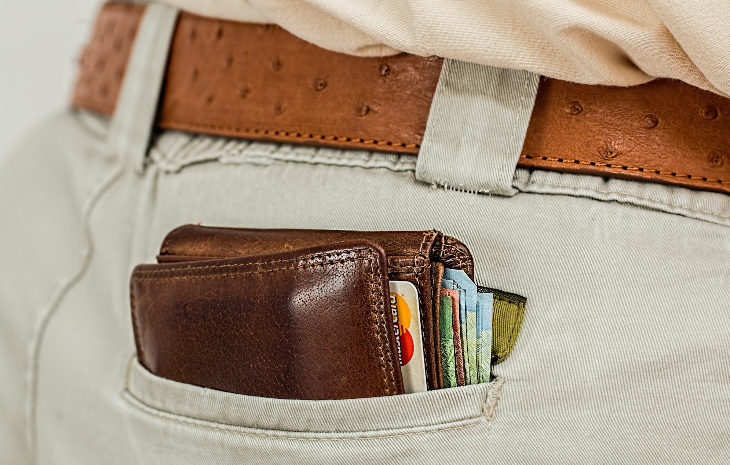 You can negotiate with drivers for a ride across town or a tour (starting at about $25). Our group visited a newly privatized garage where these cars are restored and maintained. 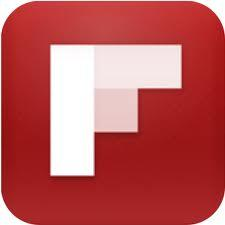 Sanchez says that privately owned restaurants are all the rage now, with over 500 new ones opening in the last year! Whatever happens with Trump, Sanchez says that Cubans will “improvise, adapt and survive”– something they’ve been doing for over 50 years. 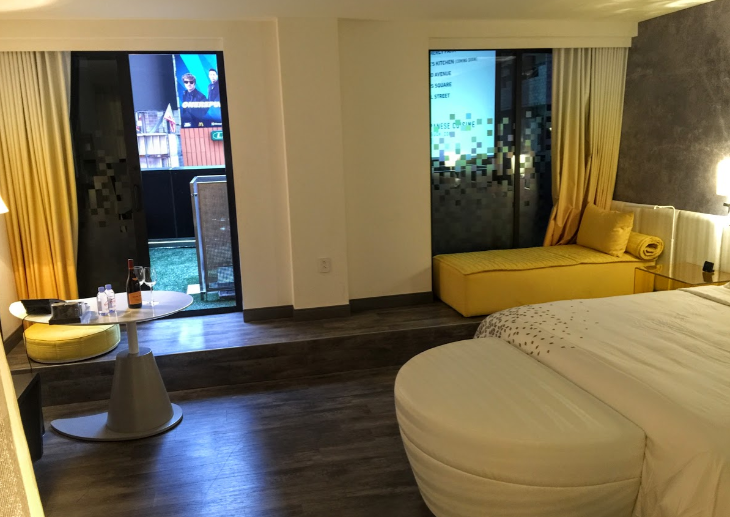 Hotels: Alaska Air put up our group at the Iberostar Parque Central hotel. 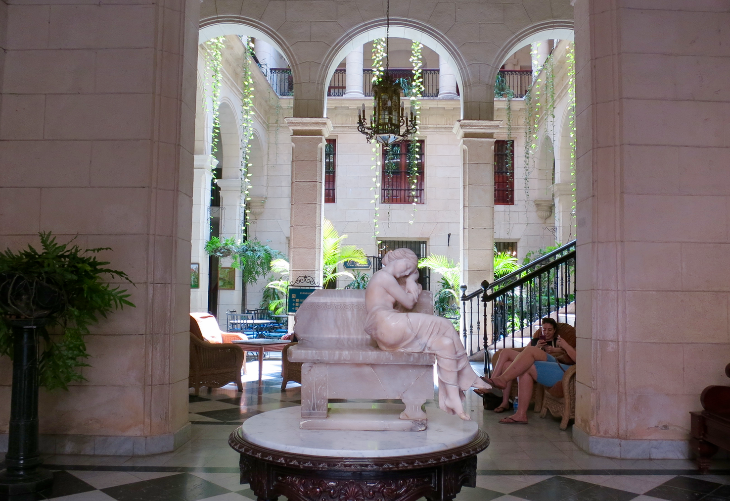 It’s considered a 5-star hotel in Cuba, but that’s by Cuban standards. Most folks in our group were shocked to learn that the daily rate at this hotel ran about $550. 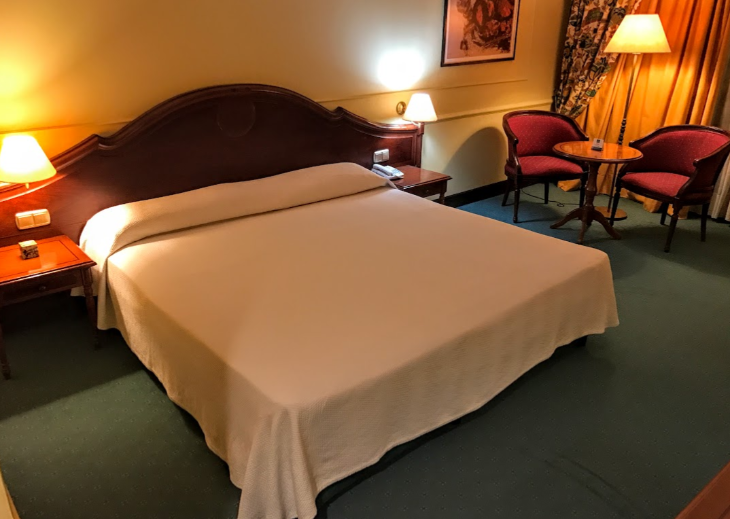 While the staff could not have been nicer and the facilities any cleaner, the hard product was not up to world-class, 5-star standards– beds were low and lumpy, furniture dated and nicked, wi-fi was slow and spotty, elevators overtaxed (hotel was full or Americans and Europeans). How can they get away with a rate like that? Well, it’s supply and demand. 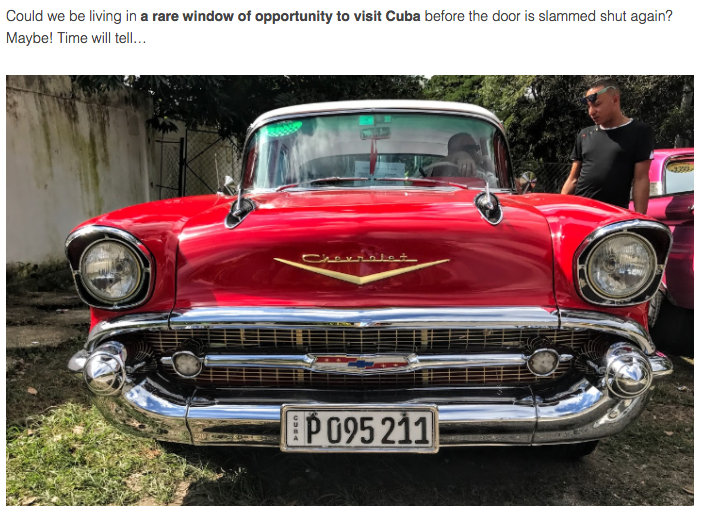 There are a LOT of people who want to travel to Cuba right now and most want the security and familiarity of a big hotel (vs an Airbnb or casa particular) for their first visit, and are willing to pay for it. When demand outstrips supply, you get inflation. Good old capitalism at work, right? Construction: As you may recall, I was on the first cruise ship allowed to sail from the US to Cuba last May. 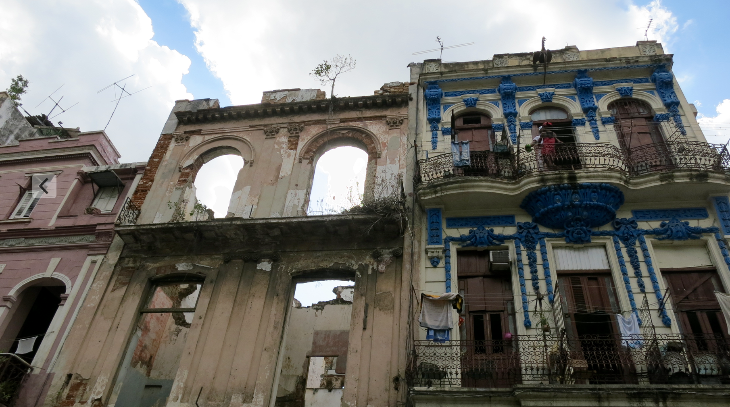 In the short period of time since then, I noticed that there is a LOT more construction and rehabilitation of Havana’s crumbling, yet still beautiful, architecture. There’s a big scaffolding on the Capitol building, which is undergoing a complete renovation by a German firm. Next door is the recently redone, now glittering and well-lit baroque National Opera. Next to that is the soon-to-be-Starwood-managed Inglaterra hotel- a grand dame in need of an update (according to guests I spoke with), but with a lively scene nightly on its roof bar. 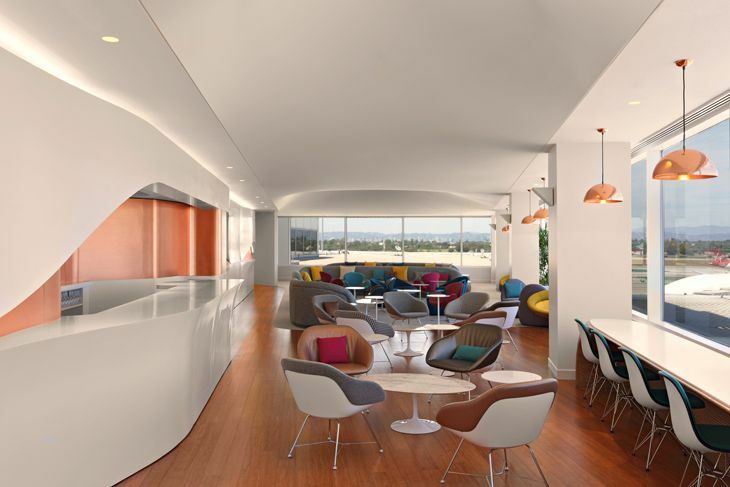 Across the street from the Iberostar, a striking, sugar-white new Kempinski Havana hotel (housed in the elegant Manzana de Gomez building) is in the final stages of a major redo, and should open this year. A brand-new-from-the-ground-up 10-story glass and steel hotel is rising across the street for the Havana’s famous water-front malecon. A new Marriott hotel will soon be built inside the gorgeous facade of a grand old building in Old Havana. Oil and Gas: Something I did not know is that Cuba has vast and mostly unexplored oil and gas fields along its Gulf of Mexico coastline and could eventually be one of Latin America’s top exporters of fossil fuels in coming years. Havana will even host an Oil & Gas Summit next month. While that could do great things for the Cuban economy, Sanchez said that there is worry about the environmental impact of off-shore drilling not just on Cuba, but on the entire Atlantic ocean since the Gulf Stream flows through the area and into the North Atlantic. With an oil and gas executive poised to be at the helm of the U.S. State Department, who knows what could happen in U.S.-Cuba relations. Fishing: In a seaside city like Havana, you’d expect to see a big fishing fleet and lots of seafood on the menu. You’d also expect to see a big trade in charter fishing boats for visitors. 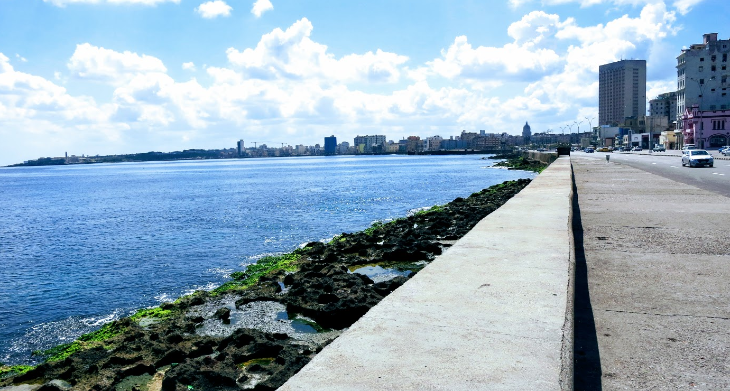 But when you peer north out at the dark blue waters off Havana’s malecon, that’s all you see… water. No boats. Why? Well, as our guide said, “We don’t have many fishermen in Cuba because they fish too far” referring to the steady stream of Cubans escaping to the U.S. by boat or raft. But now that President Obama has ended the controversial “wet foot, dry foot” policy that allows Cubans (only) arriving on U.S. shores automatic permanent residency status (versus arrest and deportation), there is less incentive for Cubans to run away. Maybe fishing could once again become a viable occupation in Cuba. So there you have it! Next up will by my trip report on the Alaska Airlines flight between Los Angeles and Havana, including a look at the LAX gate side festivities (including Cuban pastries and strong coffee), the fiesta atmosphere onboard the plane, our reception in the business class lounge (Salon V.I.P) at Havana’s Jose Marti International Airport and more! In international route developments, United will scale back its San Francisco-Auckland and LAX-London service; China Southern will boost capacity to San Francisco; China’s Hainan Airlines seeks two more U.S. routes; Alaska Airlines begins Cuba flights from the West Coast; Hong Kong Airlines schedules its first service to North America; and LOT Polish will resume a Chicago route. Is there too much new capacity between the U.S. and New Zealand? United Airlines has decided to suspend its San Francisco-Auckland flight this spring and turn it into a seasonal route. 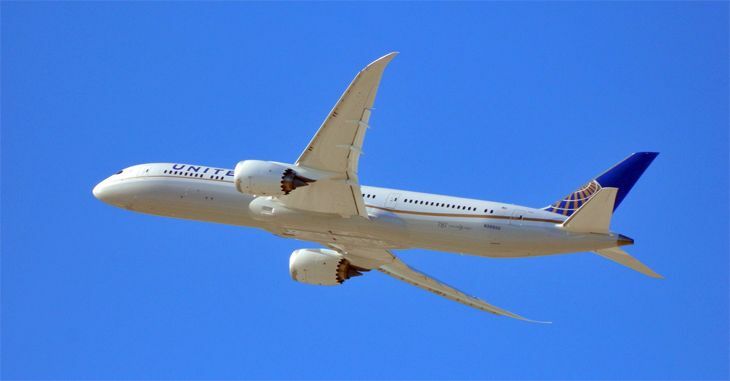 United will halt the 787 service April 16 and pick it up again October 28, according to Routesonline.com. But then on December 16, 2017, United will boost frequencies on the route from seven a week to 10, using a 777-200ER. 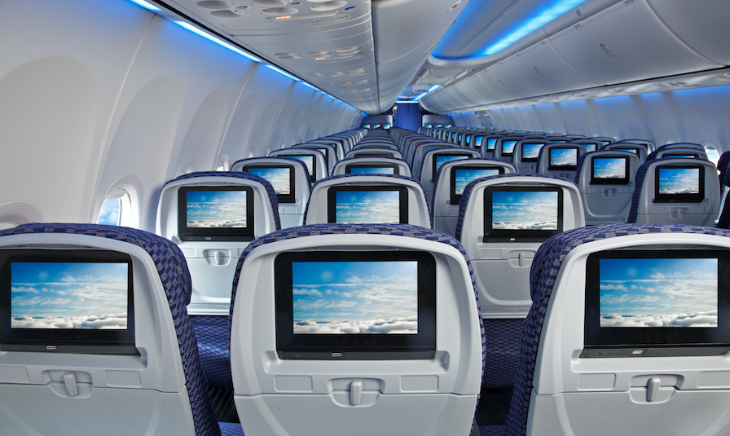 United kicked off the SFO-Auckland route last summer, just after American started flying from Los Angeles to Auckland. And a little over a year ago, Air New Zealand added a new Houston-Auckland route. In other news, United has dropped plans to add a second Los Angeles-London Heathrow to its schedule this year. 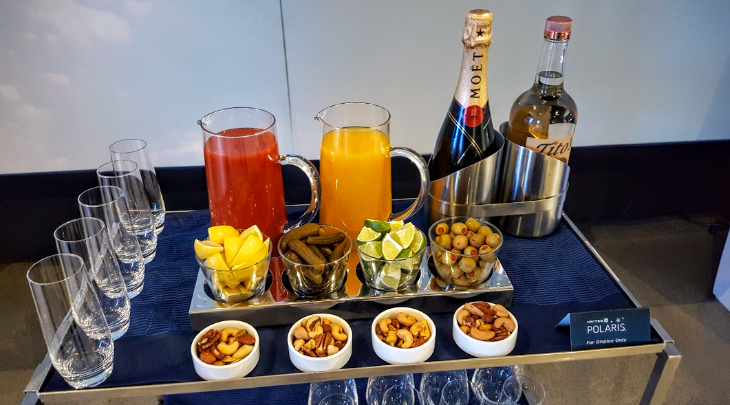 The second flight had been scheduled to begin April 4, but United apparently had second thoughts about committing more seats to a crowded market, with five other airlines already offering non-stop service between Los Angeles and London. And from its Newark hub, United this week ended its daily service to Belfast, Northern Ireland, as it previously announced. 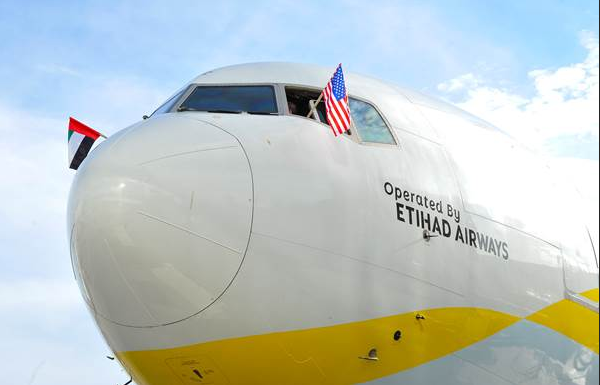 The Belfast Telegraph reports that Belfast Airport officials are in talks with several other carriers to add a U.S. route. 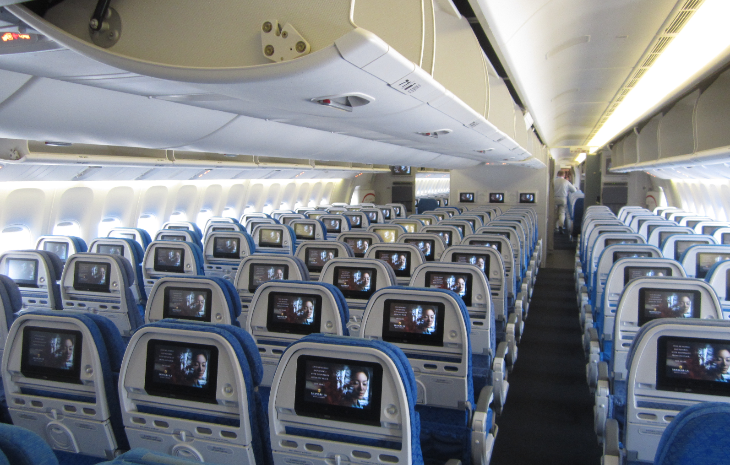 China Southern Airlines has filed plans to increase capacity to San Francisco from Guangzhou, Routesonline.com reports. It will start by changing aircraft as of March 26 from 787-8s to larger 777-300ERs on its four weekly non-stop flights from Guangzhou to SFO and its three flights a week from Guangzhou to SFO via a stop in Wuhan. Then on June 21 it will increase frequencies on the non-stop route from four flights a week to six. China’s Hainan Airlines, which has several U.S. routes already, wants two more. The carrier has applied with U.S. authorities to start flying two or three times a week from Chongqing to Los Angeles within the next few months, followed by a similar schedule from Chongqing to New York JFK in the second quarter, using 787s on both routes. 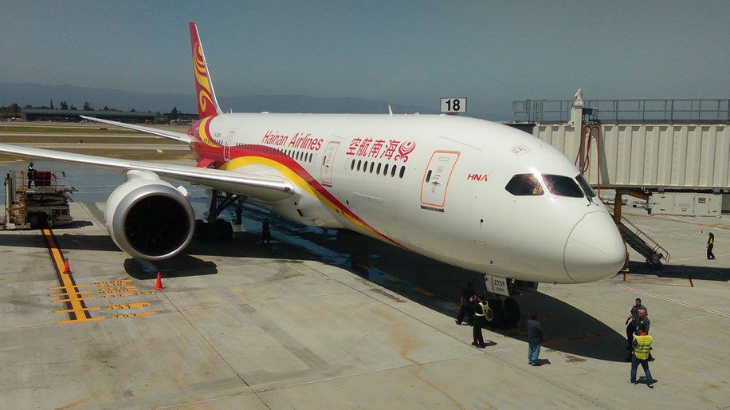 Hainan already flies to Beijing from San Jose, Chicago and Seattle, and to Shanghai from Seattle and Boston. Alaska Airlines has finally launched its new Havana service, becoming the only airline to fly to the Cuban capital from the West Coast. The daily service originates in Seattle, then stops in Los Angeles before continuing non-stop to Havana. The 737-900ER flight leaves SEA at 5 a.m. and departs LAX at 8:50 a.m. Chris was on the inaugural, and will file a report shortly. Hong Kong Airlines, which has a route network all around East and Southeast Asia as well as Australia and New Zealand, plans to begin its first transpacific service to North America this summer. 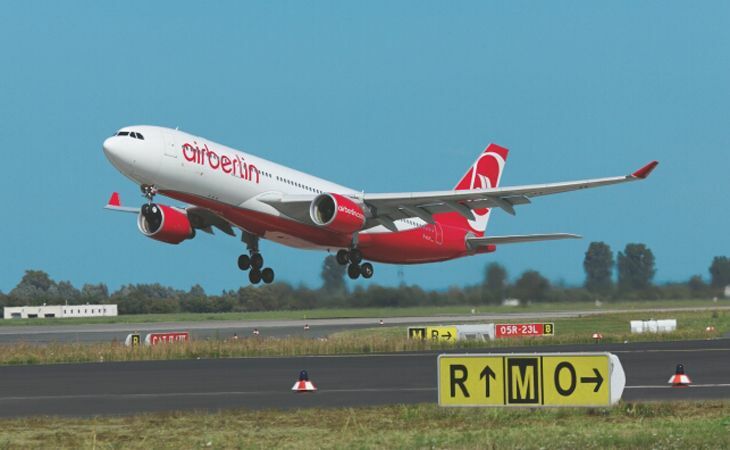 The airline said it will star flying once a day on June 30 between its Hong Kong base and Vancouver, using an Airbus A330. LOT Polish Airlines has set a July 2 start for new service between Chicago O’Hare and Krakow, operating one flight a week on the route with a 787-8. How much to fly to Havana? Not much! With nearly every major airline taking the deep dive into Cuba this month, you may be wondering: Hmmm. I’m curious about going there, but how much might it cost? Here’s the answer: Not much! For example, flights from the New York City area are on sale now for just $205 roundtrip and even lower elsewhere. And if you are looking for an unusual place for a warm winter trip, you may want to pounce on these sale fares. Want even more incentives to go to Cuba soon? President-elect Donald Trump is talking about reversing the recent opening of Cuba to American visitors. Also, according to Bloomberg, interest in flying to Cuba is less than expected, with some airlines already trimming their schedules. And low demand means lower fares! Here’s a rundown of deals from LA, SF, ATL, NYC and Miami. Check Google Flights for fares from the airport nearest to you. From Los Angeles, you can get to Havana for around $350 from January through June on several different airlines, but only one nonstop- Alaska Air, and it has the cheapest fare at just $303. Spirit actually has some LAX-HAV fares as low as $286- but you have to layer on extra fees for Spirit flights. From Atlanta, Spirit Air will jet you down to Havana for about $210 round trip (plus fees!) and Delta’s nonstop is just over $300 round trip for winter trips. 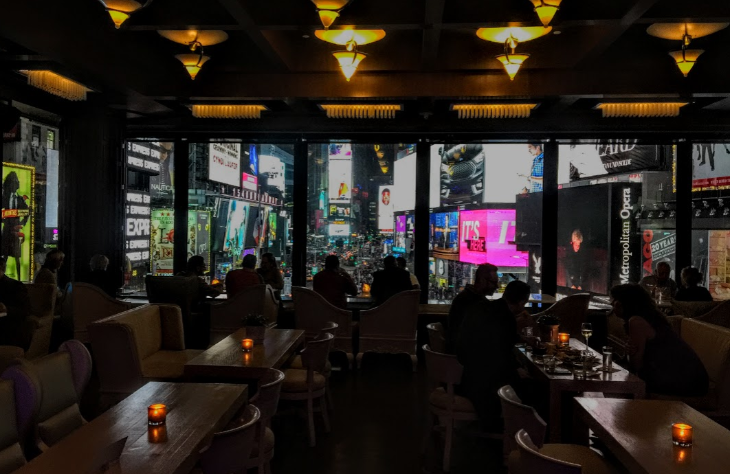 The New York City area has excellent prices from three major players on nonstops– just $205 roundtrip in January and February on Delta, JetBlue and United. From Miami or Ft Lauderdale you’ll find the cheapest nonstop roundtrip fares of all– just $130. And yes, that is round trip. So, are you ready to give Cuba a try? Been there yet? Please leave your comments below. 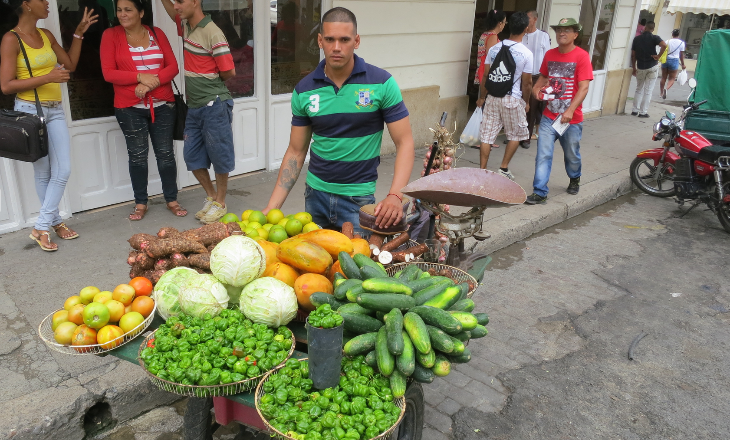 Don’t miss: Chris’ Trip Report from first trip to Cuba! In international route news, Delta shifts a pair of Tokyo routes to a new airport and ANA does the same; Delta and Virgin Atlantic expand code-sharing to India with Jet Airways, and Delta drops a couple of Italy routes; British Airways adds a U.S. gateway – but not from Heathrow; JetBlue sets the launch dates for its new Havana service; and Alaska postpones the start of its new Cuba route. 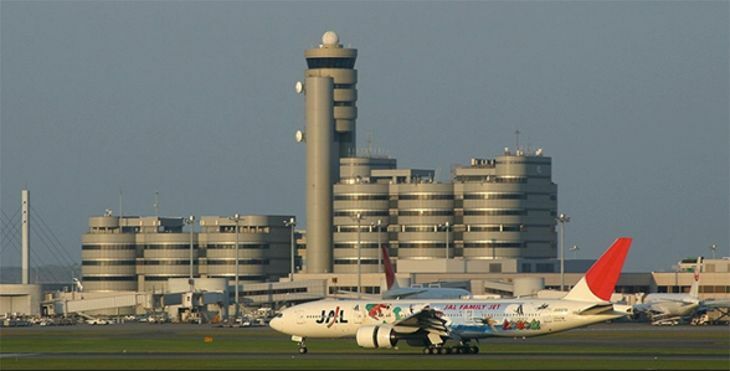 New rights to fly to/from Tokyo’s close-in Haneda Airport took effect over the past weekend, resulting in some route changes at Delta and at Japan’s All Nippon Airways. Delta has started its new nonstops from Minneapolis-St. Paul to Tokyo Haneda, which replaces its MSP-Narita service; Delta also shifted its Los Angeles-Tokyo flights from Narita to Haneda (and earlier this month, Delta dropped its New York JFK-Narita route as well). Delta still flies to Narita from Seattle, Portland, Detroit and Atlanta. ANA, meanwhile, has shifted its New York JFK and Chicago O’Hare routes from Tokyo Narita to Haneda. 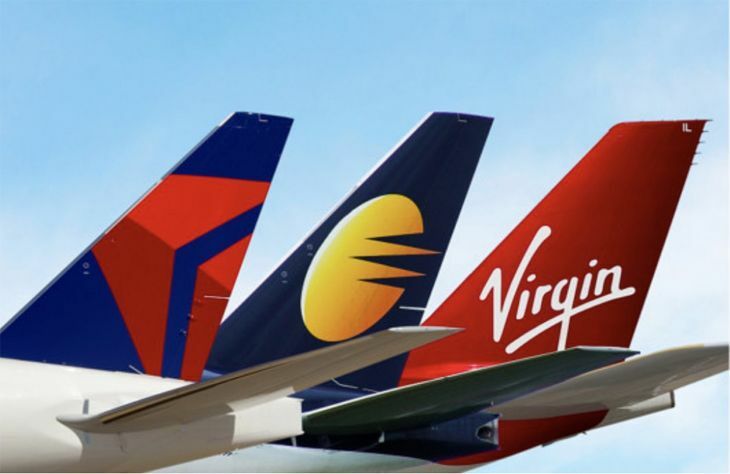 Across the Atlantic, Delta and partner Virgin Atlantic announced an expansion of Delta’s code-sharing partnership with India’s Jet Airways, which is currently available for connections to India via Paris and Amsterdam. Starting November 2, passengers on Delta and Virgin Atlantic flights into London Heathrow will be able to connect onto Delta code-shares operated by Jet Airways to Mumbai and Delhi, and beyond to 20 domestic destinations in India. In other transatlantic news, for 2017 Delta will no longer offer summer seasonal service from Minneapolis-St. Paul to Rome or from New York JFK to Pisa; both routes had been planned to launch May 25. And to South America, Delta has just switched aircraft on its Atlanta-Buenos Aires route from a 767 to an A330-300, providing a 20 percent increase in the number of seats it flies. British Airways next summer will add a new Florida route. The carrier said that starting July 6, it will fly to Ft. Lauderdale four days a week during summer and three days a week the rest of the year. But it will fly the route out of London Gatwick, not Heathrow. BA will use a 777-200 on the route, which will be its fourth into Florida. Alaska Airlines, meanwhile, has pushed back the start of its single new Havana route. The carrier had planned to start Los Angeles-Havana service on November 29, but now won’t begin flying the route until January 5. Check out what’s coming at Seattle-Tacoma International: A new glass enclosed pedestrian sky bridge that’s high enough for a 747 to pass underneath. Construction begins this fall and it’s expected to be operational in three years as part of the airport’s new international terminal. Full report from Glenn Farley here. One Caribbean capital is about to experience what could be the biggest influx of new airline service from the U.S. of all times. In early July, the Transportation Department approved routes to Havana, Cuba for several U.S. airlines. Those route awards were finalized in late August, and airlines have started to announce their inaugural service dates for late fall and winter. Some are still subject to Cuban government approvals. Alaska Airlines, which will have the only non-stop service to Havana from the West Coast, has set a January 5 start for its new Los Angeles-Havana flights, which will depart LAX at 8:50 a.m. The flight will originate in Seattle. Roundtrip fares from LAX start at $490. 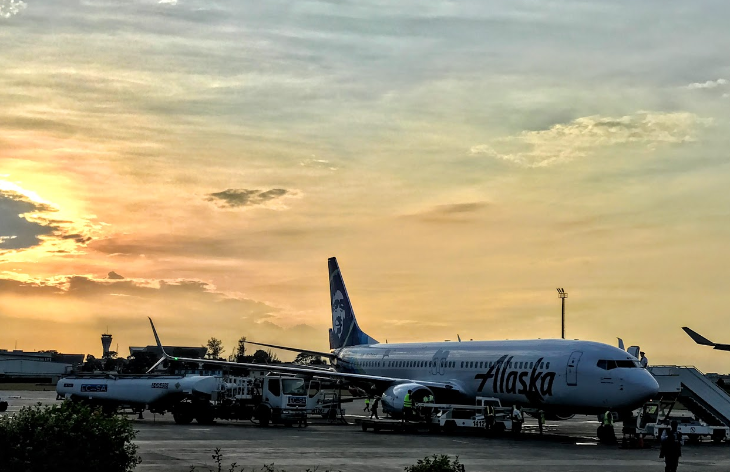 Because the purpose of a traveler’s visit must fall within one of a dozen specific categories, and other formalities and requirements must be met, Alaska has posted a handy blog page with details for customers to know before they book their flight. Alaska said it is working with Cuba Travel Services to help customers obtain visas, accommodations and ground transportation at the destination. Here is a link to the U.S. government’s official restrictions on travel to Cuba; scroll down to Page 10 to find specifics of the 12 categories of travel. Delta has targeted December 1 for the launch of daily flights to Havana from Miami and New York JFK along with one-stop service from Atlanta. For travel in February, we found roundtrip fares starting at $200 from Miami, $410 from JFK and $452 from Atlanta. 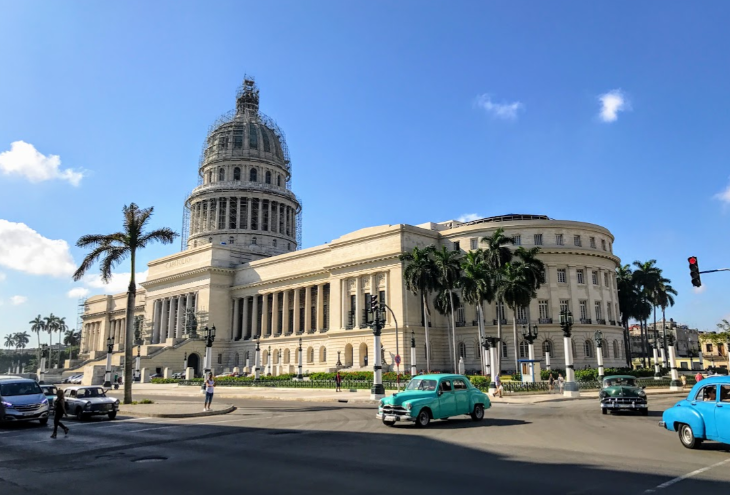 United Airlines has set a November 29 start for daily non-stops from Newark to Havana, followed on December 3 by weekly Saturday service from Houston Bush Intercontinental to the Cuban capital. Fares in January start at $413 roundtrip from Newark and $513 from Houston. November 30 is the target date for American Airlines’ new daily flight to Havana from its Charlotte hub. American was also awarded rights for four daily roundtrips from Miami, although it hasn’t yet announced a starting date for those. January roundtrip fares start at $421 from Charlotte. Frontier Airlines on December 1 is expected to start daily service from Miami to Havana, and will offer connections to that flight from Denver and Las Vegas. Other new Havana routes expected to start in the next few months include JetBlue service from JFK, Ft. Lauderdale and Orlando; Southwest Airlines flights from Ft. Lauderdale and Tampa; and Spirit Airlines from Ft. Lauderdale. Several airlines have already started or are about to launch service on routes to secondary cities and beach resorts in Cuba; those routes were awarded earlier. 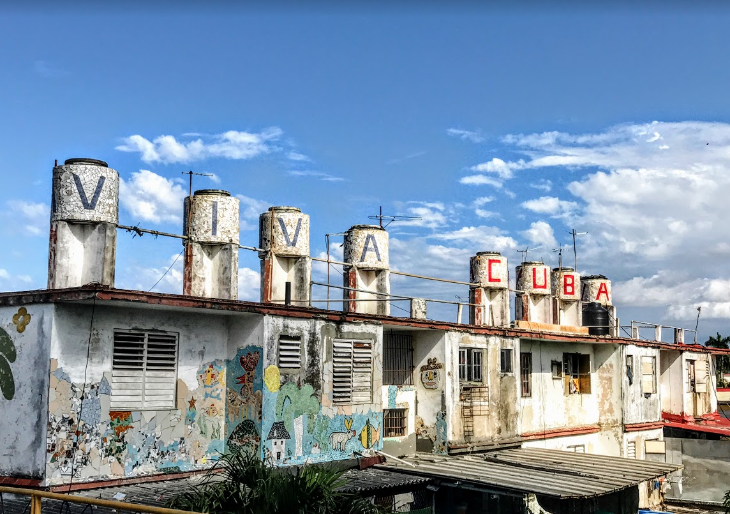 During my weeklong journey from Miami to Havana, then around the 750-mile-long island, calling on Cienfuegos and Santiago de Cuba, I learned a lot…and took hundreds of photos. If you ever get a chance to travel there, be sure to bring a good camera, extra batteries or portable chargers and fat memory cards because everything…and I mean everything makes a great photo. Seriously, every time I turned around I saw a great picture, whether it was a crumbling building, a beautiful face, unusual or exotic art, a sunset, cemetery or a tranquil courtyard. And then there are all the old cars– they draw your eyes like flowers draw bees and it’s impossible not to stare at them, and of course, snap photos. 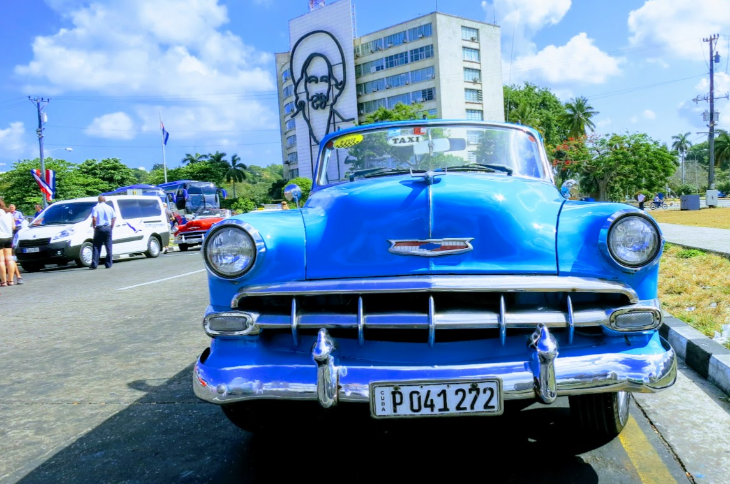 Cost: Even though Cuba is a dirt poor country, it’s not cheap to travel there due to high demand, and as we all know, that demand is going to continue to surge as more Americans fulfill their urge to get there. The problem with all that demand, is that there is not nearly enough supply to handle it, which means prices are already soaring. For example, I was on the Fathom Adonia, which offers a 7-day cruise from Miami to Cuba for a minimum of $1,800 (for a windowless inside cabin). That’s a big price to pay considering most other decent Caribbean cruises run in the $100 per night range, so about $700 for a week. How does Fathom get away with charging that much? Demand! At an onboard news conference in the inaugural voyage, Fathom execs told TravelSkills that they are “charging what the market will bear.” Just this week Fathom expanded is Cuba cruise schedule through the end of 2017. The influx of Americans is driving up prices so much that it’s scaring away tourists from other countries. For example, Aerolineas Argentinas recently suspended its nonstops to Cuba due to lack of demand from Argentines who can no longer afford the island. Commercial flights between the US and Cuba are expected to commence later this year, but as of now, no fare information is available. Currently, to fly to Cuba, you must book trips via travel agencies and be part of groups traveling there under special licenses. The emotional highpoint of our trip? The warm Cuban welcome to Havana. We all felt like rock stars! Here’s a slideshow of what it was like. Look at those faces! 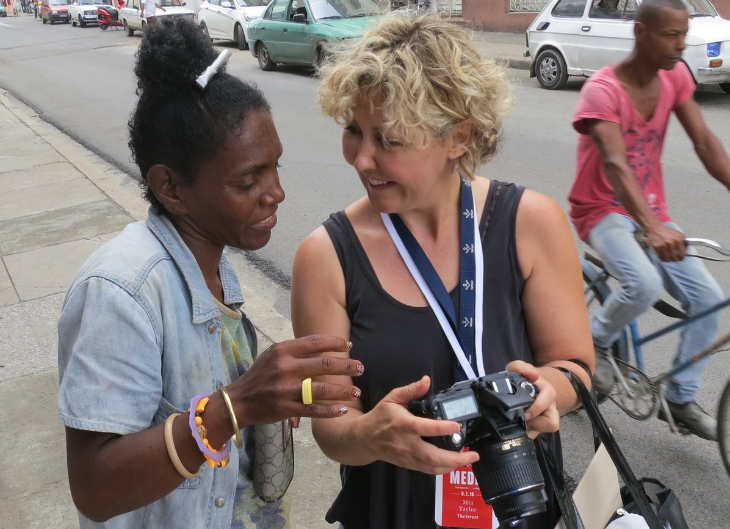 People: Cubans are as curious about us as we are about them. Luckily, I speak Spanish, so it was easier for me to communicate on the island, but I was surprised by how many Cubans speak and understand English very well. While we enjoyed a big, fat emotional welcome at the port in Havana, I was surprised to find that elsewhere, many were not aware that a boatload of Americans had just landed on the island. 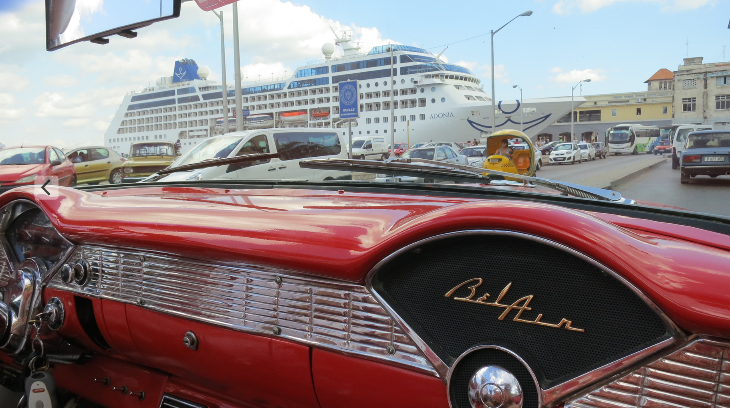 Cruise ships are not new to Cuba— it’s only those from American ports that are. So I found out that unless I told the folks I met that I was American, they did not know. And did not ask. Once I said that I was American, though, their eyes lit up, they shook my hand, smiled, patted me on the back or, in many cases hugged me and said, “Welcome, we are so glad you are here.” Or “It’s been too long” and of course, “You are from America? I have a sister, cousin, brother, friend, etc in Miami!” Anyway, one lesson I learned during my trip is that Cubans are eager to chat and interact with Americans, but as a visitor, you have to initiate the conversation or interaction— once you do that, the results are fantastic and heart warming. Poverty: There’s no mistaking that Cuba is a poor country. We heard that the average Cuban brings home about US$28 per month. That means most have to get their basic necessities at “ration stores” throughout the country. While there are other types of stores selling flat screen TVs (about $300), air conditioners ($900) and other luxuries, few Cubans can afford them. From what I saw in the cities we visited, nearly all Cubans are poor, but they are not destitute like you see in other developing countries or neighboring Caribbean islands. I did not see any homeless people living in the streets like I see daily in San Francisco. No evidence of drug addiction. Most Cubans were well-groomed, well-fed and appeared to be in good health. Begging: I was startled at the large number of people who were begging. Most were pregnant or nursing mothers who asked for money to feed their kids. 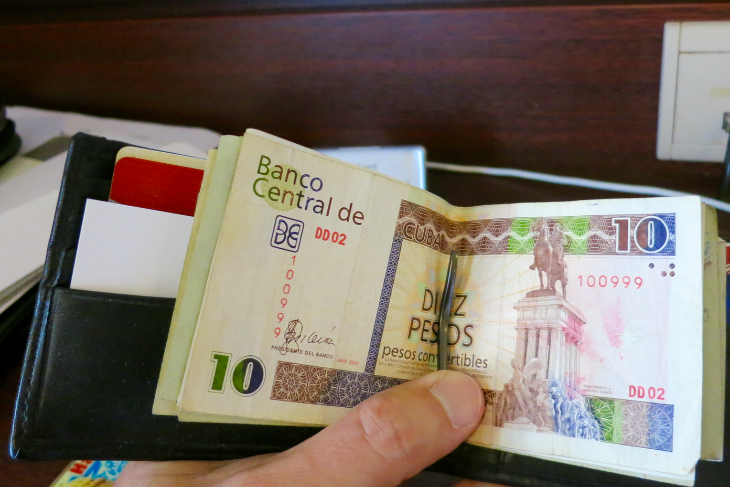 Knowing that just one US dollar is a full day’s wage for most Cubans, I occasionally obliged, but the problem was that I frequently found myself without any small bills, and found it hard to find places willing to change my larger bills. In the end, I just resorted to using the US one dollar bills I had in my wallet, which were gladly accepted. 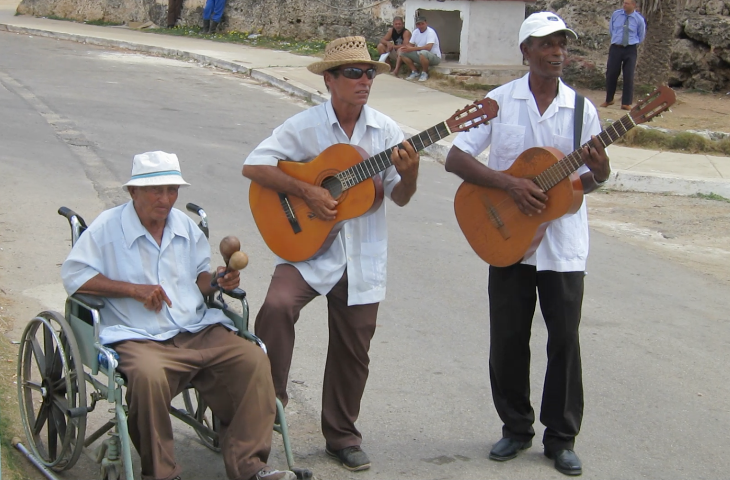 I found that a more fulfilling way to distribute my American largesse was to tip the ubiquitous musicians, dancers and buskers on the streets, in restaurants and elsewhere– Cuba is overflowing with infectious and really good live music that’s impossible to miss. I noticed that there was a big camaraderie among the women on the ship and the women on the street when they handed out make up, soap, lotion, small toys and other sundries. Do you have a bag of lotions and potions from frequent hotel stays? An old unused cell phone? Bring it to Cuba! They really appreciate it. Cruising. Even if you don’t like cruises, seeing Cuba via cruise ship is perfect for the first time visitor. The pros of the visiting via ship: a guaranteed clean, air conditioned space to sleep in with a good shower every night. 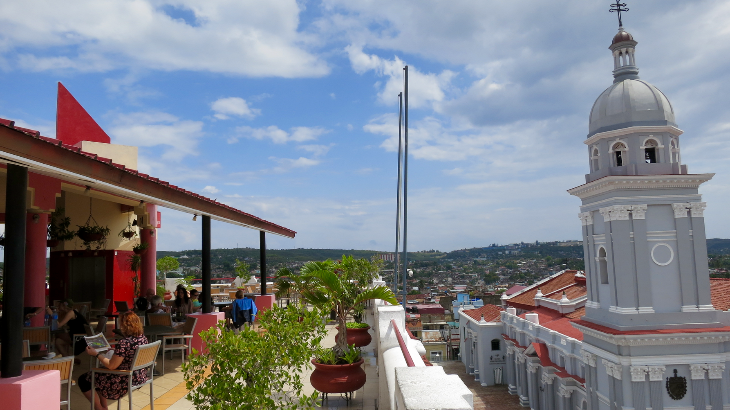 Hotel guests in Cuba face a lot of uncertainties due to the country’s faltering infrastructure, so access to wifi, air conditioning, hot water, etc can be sketchy. Not so when you have a cruise ship to sleep on each night. The cons of a cruise ship are of course, less immersion in local culture, and less control of your itinerary. But until Cuba can build more hotels and improve the few that are already there, it’s increasingly likely that many Americans will visit by ship in coming years. Carnival Corporation’s Fathom line is the first to get permission to enter, but nearly every other cruise company has applied for access to this forbidden fruit of the Caribbean. 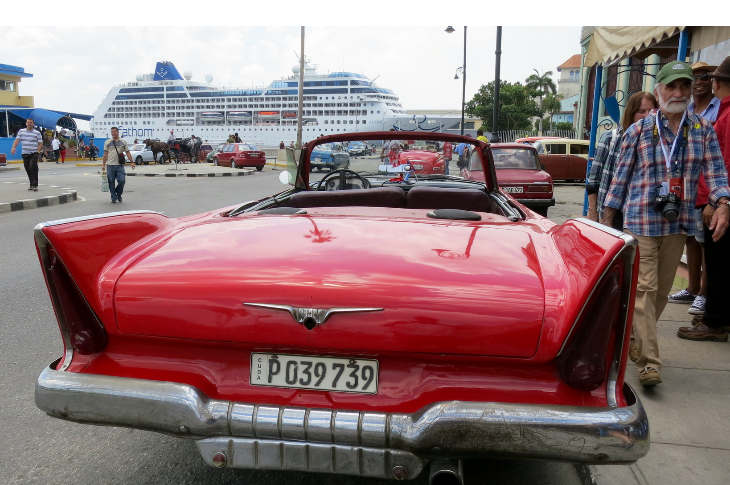 Don’t miss my first post from this trip: Cruising into Cuba- It’s complicated! Have you been to Cuba? Do you plan to go? Please leave your comments below! 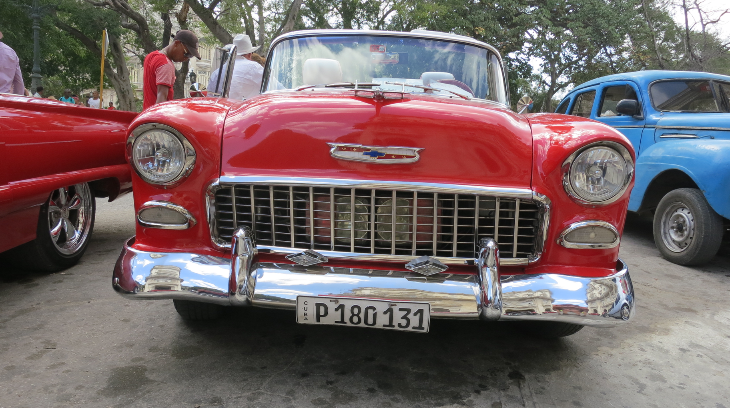 Don’t miss my first post from this trip: Cruising to Cuba- It’s complicated! It’s Day #3 of the first U.S. cruise allowed into Cuba for 58 years. I’m trying to put my finger on the mood of what I’ve seen, heard and felt. My friends back home are asking, “what’s it like?” and I wish I had a pat answer. But I don’t. What I can say is this: It’s complicated. For the U.S. and Cuba, it’s like getting back together and trying to “just be friends” with an ex. You know how it feels… enough time has passed after an ugly break up and now it’s time to re-establish communication with someone who meant a lot to you. You’re willing to rise above all the drama from the past. Excited to be talking again feeling hopeful for the future, letting bygones be bygones. But then you quickly realize that you are not going to be able to steer clear of old land mines that sabotaged the relationship in the first place. Sound familiar? Like many Americans, I felt the rush of excitement when President Obama normalized relations with our old enemy and thought we’d soon be on the fast track to something like the good old days. But now that I’ve been here for a three days, I’m thinking that it’s going to be a long, drawn out unraveling, and things between us will not be “normal” for quite some time. But there’s no denying that there is still a spark between us. 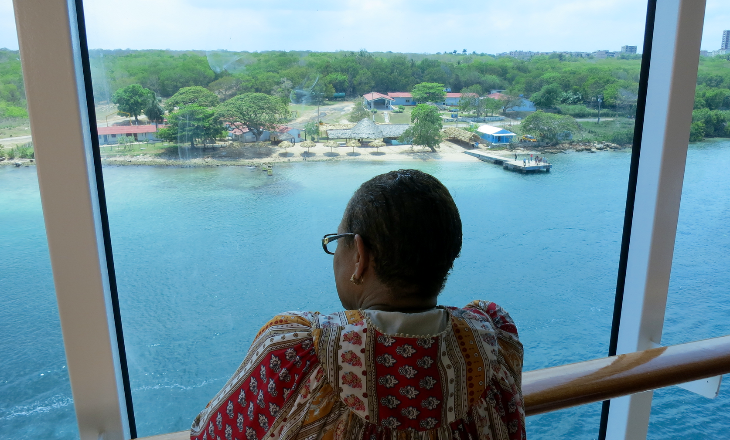 The warm fuzzies continued as we disembarked the Adonia. When we pulled up to the ship terminal, the Cuban media was there with cameras, cell phones and notepads in hand, awkwardly looking out at the American media onboard, with cameras, cell phones and notepads in hand, smiling at each other, and feeling a kinship over our shared responsibility to report on this historic event. To appease this angst, Carnival pulled off a public relations coup. Who was the first passenger to get off the first ship and allowed into Cuba in over 50 years? It was Carnival’s very own Cuban-born lead counsel Arnie Perez and his wife. 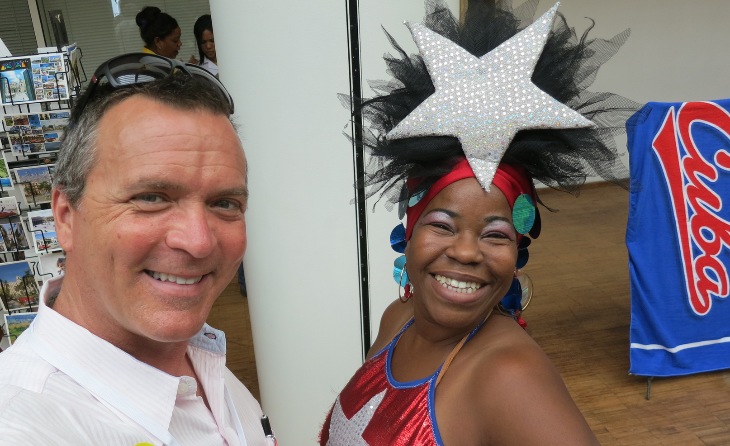 He was allowed to disembark and greet Cuban dignitaries before Carnival’s CEO, Arnold Donald, who was also onboard to mark the occasion. Ugh. Talk about old issues and landmines as we try to be friends again. But let’s get back to the warm fuzzies. Passengers (around 700 onboard) disembarked and entered the ship terminal where Cuban customs agents checked our visas, passports and stamped them (with a regrettably forgettable passport stamp). We entered a large, modern and bright hall full of tour guides, a band, several groups of dancers, and some stalls selling tchotchkes, cigars and rum. But the real welcome happened outside. Havana’s cruise terminal is situated across a busy street from a large plaza in the heart of the old city. As we exited the terminal and waited to cross, I noticed a huge crowd of locals in the plaza pressed up against the curb with cameras, flags, big smiles and waves. I wondered if we had a famous Cuban celebrity or soccer player onboard. 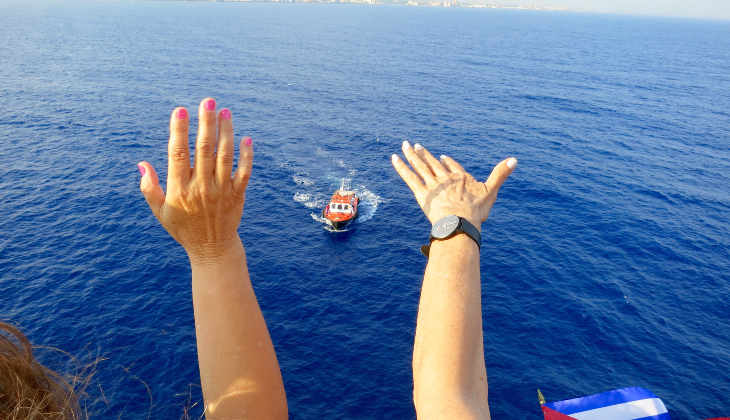 But as we crossed the street, I soon realized that it was not a celeb they were cheering, it was us: The first Americans to get off a cruise ship and enter Havana in almost 60 years! I looked into the eyes of older Cubans in the crowd and could feel them reminiscing about the 50s, perhaps thinking of long lost American friends or lovers who disappeared with the revolution. Younger Cubans wanted to see Americans, perhaps for the first time. Similar to the passengers on this cruise, this unexpected welcoming committee was diverse, comprised of old and young, families with kids, seniors, beggars, policemen. They all had arms outstretched to give us high-fives, some even offered hugs and kisses (see photo). 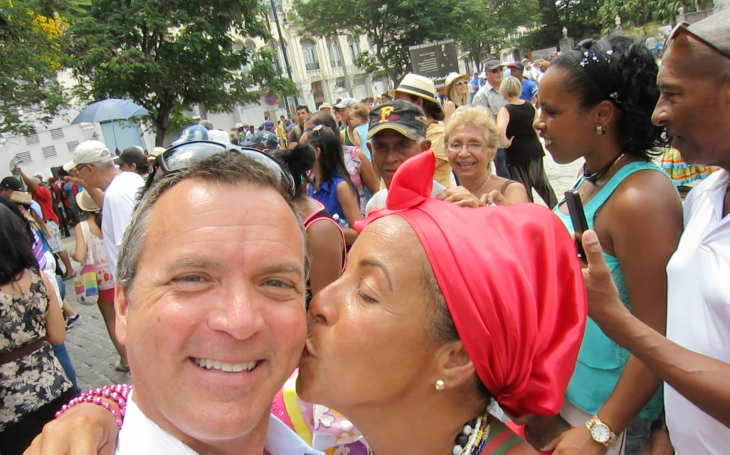 Then I spun around to find a woman dressed up in a traditional Cuban costume, who gave me a big kiss on the cheek, instructed me to take a selfie with her, then asked for a tip. It was crazy. And happy. And confusing, too. Remember what I said about it being complicated? The old rifts came up even before we departed Miami to cross the Florida Straits. I flew from San Francisco to Miami last Saturday, arriving just in time for dinner. Luckily, the Best Western near the airport was within walking distance of Little Havana. And I had a craving for a good Cuban sandwich, some black bean soup and tostones. 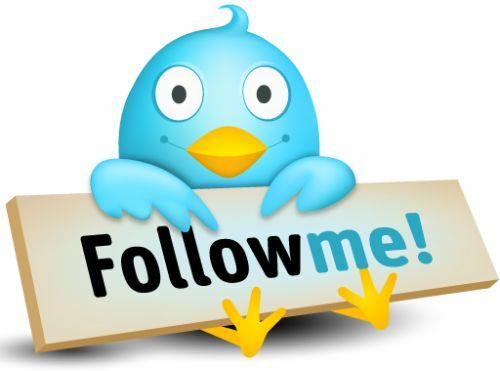 So I went out to social media and asked my followers where to go. The consensus? Versailles, long known as one of the best Cuban restaurants in the city, and a place I’d been maybe 10 years ago, but why not go again? I’m traveling by myself and dined alone, which means I spent a lot of time (probably too much!) taking photos of my meal and putting it out there on Facebook and Twitter. 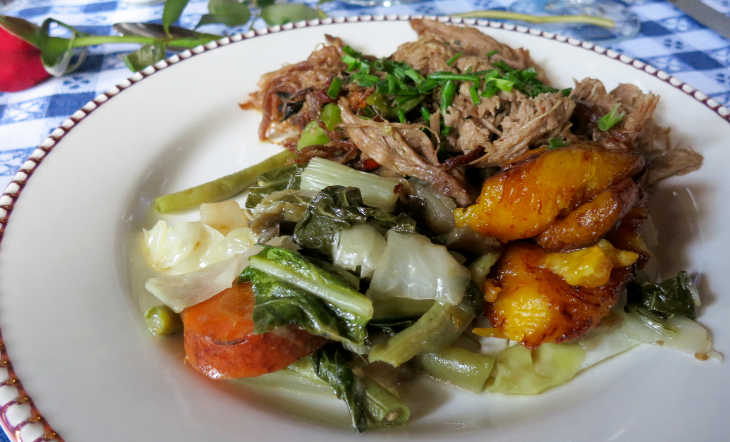 One of the first responses to images of my feast came from my friend Peter, a Cuban-American from San Francisco, who said something like, “Fill up on Cuban food in Miami- it’s a lot better there than it is in Cuba!” He would know since he’s been allowed to travel back to Cuba to visit family over the years, and has told me what grocery stores and restaurants and kitchens look like—pretty bleak. That gap was magnified even more when I stumbled upon, get this: Preparations for a Chanel fashion show. 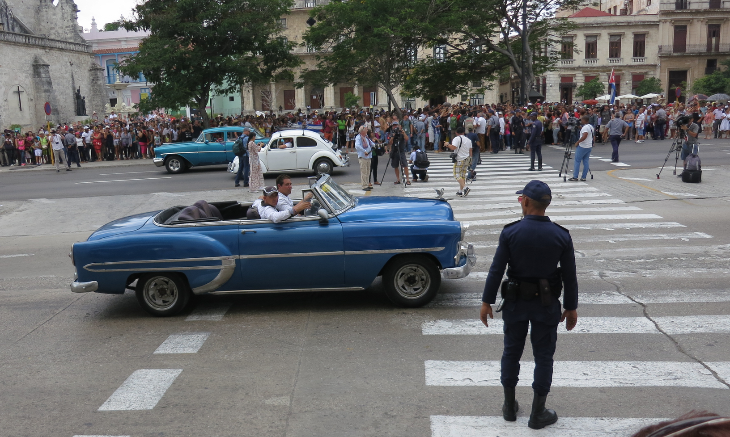 Organizers staged the event yesterday outdoors along the leafy Paseo del Prado in downtown Havana, closing off streets. 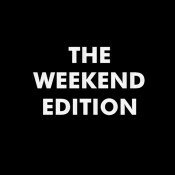 Willowy Tilda Swinton, designer Karl Lagerfeld and a few hundred other fashionistas dropped into town for a few days selling out the few upscale hotels in town. Oy, talk about disconcerting. On one hand, it’s exciting to see the global spotlight shining on this hot new destination, but then being pulled back into the reality that Chanel designs are not even sold on the island. Plus you can’t help but think that the money spent on this highbrow event could have easily fed the families looking down on it for months. One of the highlights of my two days in Havana was an opportunity to ride in one of the hundreds of the famous old cars cruising the streets—most serve as private taxis for tourists. 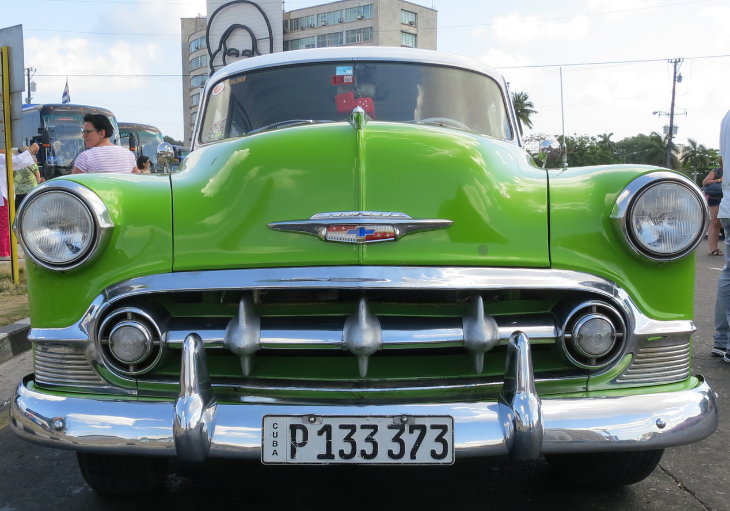 It’s hard not to get wrapped up in the visual of these shiny relics of the 1950s, beautifully restored and proudly driven through the streets by their owners (private ownership of cars is a relatively new thing in Cuba). After a day of being chaperoned around town in an air-conditioned bus by Havanatur, the state-owned tour company, I decided to break free. 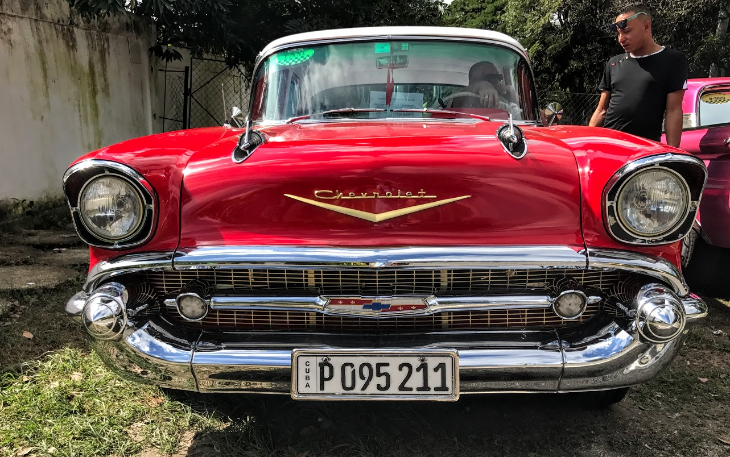 Instead of taking the bus back to the ship from our tour stop at a museum downtown, I took off with another reporter, and negotiated a deal with the owner of a fancy red and white Chevrolet Bel Air convertible. 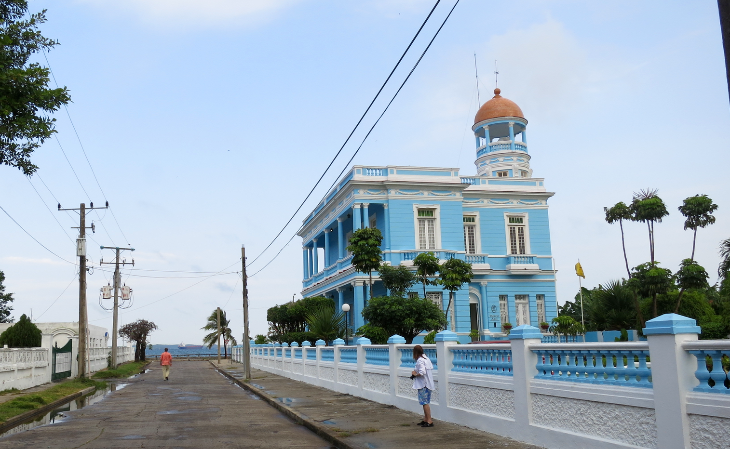 For $25, he agreed to give us a ride through downtown, out to the famous Hotel Nacional for some photos, then along the seaside Malecon, back to the ship. What a treat! On a hot sunny day, we speed through the streets, with our driver, Carlos, honking and waving to all the other restored-car drivers doing the same thing we were. In the course of our trip, I asked him if he was ready for the hordes of American tourists ready to pounce on Cuba. I was expecting him to be excited about the prospect, but he was skeptical. And there we are back at the drama that likely ripped us apart during the revolution of the late 1950s, which boiled down to who was in control of Cuba. And given the strong will of the Cubans and the Americans, that standoff might continue for a while. So for everyone who thinks that they need to “get to Cuba before the Americans ruin it”…you can relax. It’s going to take a while. Disclosure: Fathom Travel, part of Carnival Corporation, covered the cost of my cruise and onboard internet access. TravelSkills paid for my air travel, meals, hotels, transfers and visa costs related to this trip. It should just be a matter of months before you can book a commercial, scheduled flight Cuba, thanks to a new air services agreement signed on Tuesday. U.S. Transportation Secretary Anthony Foxx was in Havana for the signing, after which the Transportation Department told U.S. carriers they can now apply for route authority to the island for both passenger and cargo flights, something they haven’t been able to offer for more than 50 years. 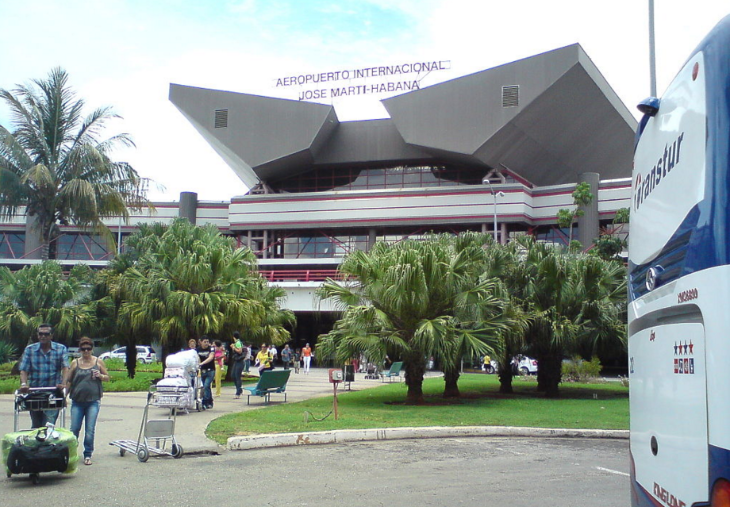 The pact will allow airlines from each country to operate up to 20 flights a day to Havana, as well as a maximum of 10 daily flights to each of Cuba’s other nine international airports, or a total of 110 flights a day to the island. DOT said that as applications come in, it will begin a proceeding to select the routes that will be awarded to each airline– so it’s going to take some time. Cruise lines are getting in the act, too. 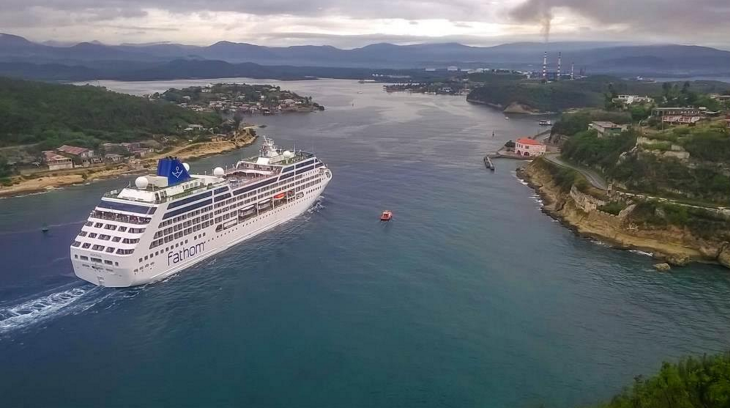 Carnival’s new Fathom “cultural exchange voyages” will depart Miami for a weeklong cruise around the island stopping in Havana, Cienfuegos and Santiago starting this May. According to Treasury’s website, those 12 categories include: family visits; official business of the U.S. government, foreign governments, and certain intergovernmental organizations; journalistic activity; professional research and professional meetings; educational activities; religious activities; public performances, clinics, workshops, athletic and other competitions, and exhibitions; support for the Cuban people; humanitarian projects; activities of private foundations or research or educational institutes; exportation, importation, or transmission of information or information materials; and certain authorized export transactions. But if a traveler just checks off one of those categories on a booking request, there’s no telling what kind of enforcement might apply, if any. Some U.S. airlines have already been flying to Cuba for months, but only with charter flights sold by travel companies. 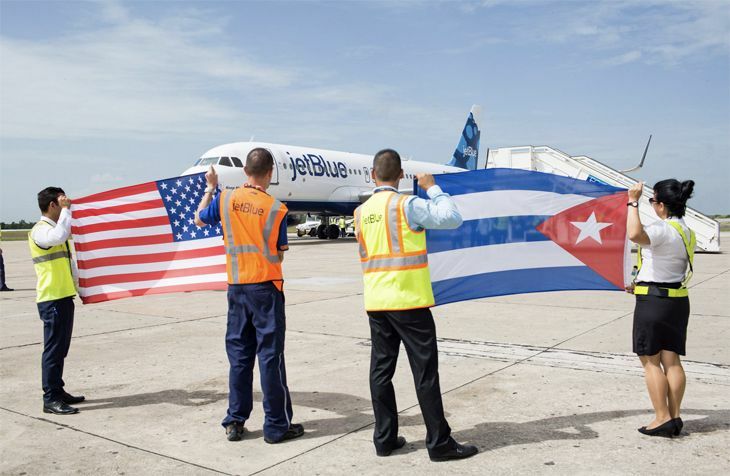 After today’s announcement, nearly all US carriers have applauded the move and said that they plan to apply for authority to crank up scheduled commercial flight to Cuba from their hubs. Filed Under: Airlines Tagged With: agreement, air services, airline, American, Carnival, Cruises, Cuba, Fathom, Havana, JetBlue, Transportation Department, U.S.